This year at the AKATO Invitational a black belt and under black belt weapons kata division has been added. A few months ago I wrote to GM Yates (who is the head of AKATO) and asked him to create this division as another avenue for AKATO’s students to compete in. I believe that this would help the AKATO Kobudo students to have an avenue to compete against one another and also a way for our students to compete with them. Six of our students have entered this division. Currently Emily and Anna who are Yellow belts in Modern Arnis are planning on doing Baston Anyo Isa (stick form 1). Matthew who is one of our young TKD Blue belt standouts has also decided to do Baston Anyo Isa as well. All three of these students will be competing against higher ranked students (generally brown belts) who could have been training for a year or more in Kobudo. Their goal is of course to win but they know what they are really doing is challenging themselves and representing our school even though they have only been practicing Modern Arnis since June. Isaiah one of my TKD brown belts and a yellow belt in Modern Arnis will be also competing in empty hand forms (brown belt division) doing a Yellow belt Modern Arnis form, Anyo Isa (empty hand form 1) and in weapons kata with Nunchaku Ni which he has learned in our kobudo classes here at the Rec. Center. Kimberly a young Purple belt (4th brown) also decided she wanted to compete with Bo Ichi in weapons kata. Jackie will be doing Baston Anyo Lima (stick form 5) which is our competition form in our Modern Arnis program in Black belt division and Anyo Tatlo (empty hand form #3) in the Black belt empty hand forms. As a side note Jackie believes Anyo Tatlo represents what we do better than Anyo Apat or Lima (forms 4 or 5) so she is stepping down in complexity to better show what she feels Modern Arnis is about. All of these students are stepping out of their comfort zones in order to represent themselves, their art, and our school. Such as these Yellow and Blue belts competing against higher ranked Brown belts in weapons kata, or our Purple belt who just started training in kobudo a couple of months ago and wants to compete with her first Bo kata, or our Brown belt doing his first empty hand form in Modern Arnis (the only one he knows) in Brown belt kata division. Then of course there is Jackie who in her first ever competition, is competing as a Black belt in Black belt empty hand kata and weapons kata demonstrating Modern Arnis forms in a karate/TKD tournament. Everyone of these students are entering the tournament knowing that the deck is stacked against them in one way or another but are eager to accept the challenge. As October started, I started promoting this tournament and we as instructors started prepping our students. All of these students wanted to step up and do this, they are excited and have prepared pretty well. Of course it goes without saying that all of these students would of course like to win their division, but what is more important is that they are willing to step up and out of their comfort zone and demonstrate their skills even with the odds of winning not in their favor. That is the kind of attitude I want to see in our students here at Hidden Sword martial Arts. In my previous post I talked about what tournaments are used for and some of the reasons why the AKATO Invitational is a bit different; today I want to focus on why I believe tournaments have a place in karate training. I see tournaments in the same light as I see special training opportunities like the sparring we did at North Texas Karate in Bridgeport last month; simply put as just another method for the student to test themselves. At the sparring session (mention above) our students were able to spar with students of different ranks, shapes and sizes from different schools much like at the tournament, but at the tournament there is the added stress of win and advance or lose and go home. In tournament competition the student is facing another student that is close to their skill/rank level their peers, instead of facing opponents of different ranks and ages at the sparring training. So it is a more accurate way to judge the student’s skill level. The students will be doing point sparring, in a ring with three judges, with a two minute time limit. When a point is scored it takes two of the three judges to award the point, if only one saw the point, then no points are awarded. Since the judges call points the match is one of start stop, start again stop while points are being called. The competitor must also be quick, accurate, and they need to pick their shots. All of this adds stress to the situation for the student which is another way of testing them. In kata competition a different type of challenge takes place. There the student has to announce themselves before the judges and then do their kata all by themselves in front of everyone who is around the ring. This takes nerves and concentration. Like floor exercises in gymnastics competition, every little thing counts such as; focus, looking before turning, balance, proper form, remembering the whole kata and physical skill in execution of technique. So the student is challenged by having to perform their kata to the best of their abilities and afterwards be judged in front of their peers as to how they measured up. Students in this competition will all be doing similar kata and the students will be held to only performing their kata they are working on for their next belt or below, also instructors aren’t allowed to modify the kata such as adding in a jump turn kick at the end of Chungi to give their student a technical edge over his competition. I don’t stress for the students to win, I applaud them for showing up and doing their best. A sparring match can be won on actual hits and lost because the judges weren’t in position to see them. A student who doesn’t have the same physical skills that another student has in kata doesn’t mean the first student didn’t put forth the same effort, in fact many times they put forth more effort. In both events the students stands on their own win or lose. In contrast to team sports where the player has to go because they are part of the team, if the team wins they still get a trophy even though they might have bungled a play or two. In a martial arts tournament the student makes a choice whether they will attend and it could be if they make a mistake on their kata or a point is scored on them then they will go home without a trophy. So to me it is more important that they stepped up and challenged themselves, then if they got a medal or a trophy. Since we as a school generally only go to one tournament a year this is the student’s opportunity to challenge themselves. We are not a tournament focused school, I do believe that tournaments have a place in karate practice but not a huge place. In the 60’s tournaments, as well as sparring, were seen as a way to promote the study of the martial arts; which ultimately helped turn the martial arts into martial sports. It is my belief that because of sparring events in tournaments we tend to have the huge blending of styles that we have today; as instructors, competitors and students tended to look for the edge to have over their opponents so they freely borrowed techniques, strategies and such from outside sources. Likewise to make it safer; rules were adopted, sparring gear was created which helped launch the martial art supply businesses, and as the study of the martial arts was made safer it helped opened up the door to children studying the martial arts. Kata like sparring, also developed to be an artistic expression thus opening the door to more physically challenging kata that now can resemble gymnastic floor exercises, along with musical kata routines that bear little resemblance to traditional weapon or empty hand kata. However by making it safer for students to learn, making it more flashy, more spectacular it has also made it more interesting for kids and adults as well. At Hidden Sword we attend one tournament per year as a school. Participation is not required but I do encourage it. We as part of the American Karate Tae Kwon Do Association attend their annual invitational tournament at the Richardson YMCA in Richardson TX. Here our students will compete against their peers from other AKATO schools and a couple more that might be invited; however they will be competing against students of similar systems doing similar kata all held to the same rules. Likewise they will get to spar against other students of similar skill levels. Students competing in kata will all be doing standardized kata from recognized systems. Therefore no one student can make up their own kata, incorporating back flips, round offs, or standing on one foot and roundhouse kicking in a circle, nor doing full splits with a high block while punching (to what I don't know to an ankle?). Students competing in kata can only do the kata they are working on for their next belt rank and below. This way Orange belts aren’t doing brown belt kata to have an edge over the other Orange and Yellow belts. In weapons kata division students are able to do standardized kata. So again no made up kata where the competitor squats in front of the judge and tosses his kama between his legs in hopes of catching it, nor twirling their katana between their fingers, or throwing their bo staff into the air and catching it like a twirler’s baton. Even though we are not a tournament focused school our students can compete against other likeminded schools who want to teach the martial art, more so than just how to win a trophy. Like I said at the beginning of this blog, I do believe tournaments have a place in today’s practice of the martial arts and I believe tournaments have also had a positive effect on the study of martial arts, however I have also seen a down side to tournaments as well. In my next blog I will talk about why I want our students to attend and what are some of the benefits of having your child compete, even if it is only one time per year. Please remember this Saturday the 26th of October we will not be having class due to our participation in the Annual AKATO Invitational Tournament. 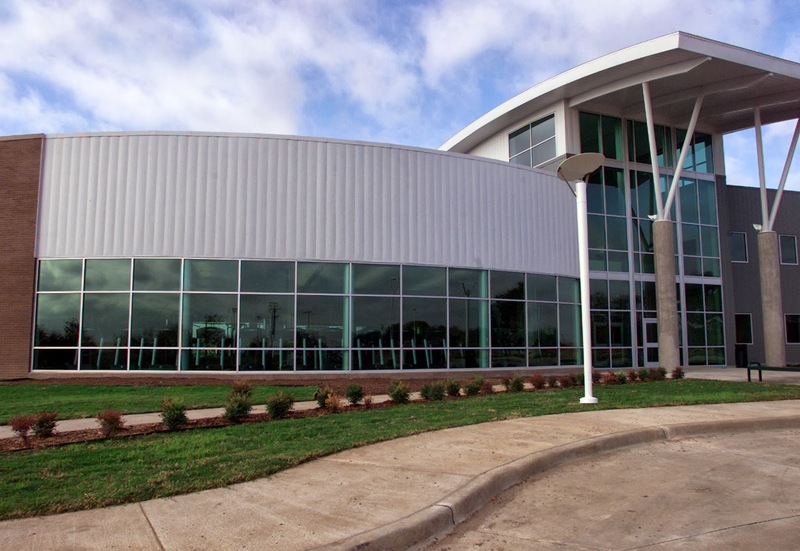 The Roanoke Recreation Center where classes are held. Yesterday was the Celebrate Roanoke festival in our town, and for the first time our school Hidden Sword Martial Arts had a booth. I was horrified as I heard Jackie (who along with her husband was graciously helping me man the booth) start off her greeting potential customers with “We’re the Rec. Center martial arts program”. Not “We’re Hidden Sword Martial Arts…….” and then she would start with the pitch “we offer classes in this and that etc. etc.” Now Jackie who has a background in advertising, as well as her husband have really helped me in the past to promote our school, so when she proudly sat down in a chair and told me “We’re the Rec. Center Martial Arts program, we’re different I like that!” I listened to her. As far as promotions/advertising she’s the black belt and I’m the student. You see in most martial artist's eyes as well as the general publics, words like Rec. Center, Parks and Recreation, after school martial arts and the like scream out HOBBYIST, PART TIMER, and those that can’t cut it in the real martial arts teaching world. I mean the general consensus is that the real true masters are the guys who own a school; they are the ones who are teaching hordes of students, they are the ones that train their students so they become the Texas Tournament Champions of the Year school. The bigger stand alone schools have the painted signs on the windows in bright day glow letters that say “train with the Insert state or country champion here”, have the most black belts etc. etc. I have tried hard to distance myself from the view that I’m a hobbyist, a part timer, because I teach at a recreation center. Those that know me know that I have invested a lot of time and money into making sure that my students have good quality training equipment to train with, just like the big schools. They know that I teach and offer several classes per day for both adults and children at the rec. center, they know that I assemble exam boards of outside instructors to examine our students and to give me feed back on our program. They know that I have been training and teaching now for 32 years and earned black belts in 5 different martial art systems. Also many of the parents who have been with me now for several years also know that last year I gave up a career at American Airlines after 22 years (30 years in the aviation career field) to pursue my calling as an instructor, so I’m not a part timer. If you have ever seen the movie “The Other Guys” than you have an idea of how I was feeling we were being promoted; you know, we’re not the A team we’re the other guys. Wisely though I listened to the master and got what she was saying. We are different, we are the other guys and we should be proud of it. You see we don’t do things that many other schools do. · I don’t teach 6-7 year olds knife defense (I’m serious, I’ve seen this). · We are not a tournament centered school, we don’t train for the Olympics, we don’t even teach Olympic style Tae Kwon Do. · I’m not a tournament champion, I don’t fight in rings or octagons. · I don’t teach XMA type weapons forms with fake and play toy weapons (see the earlier weapons blog for pictures of what I mean). Nor do I teach 7 year olds kamas (farm sickle) or any weapon for that matter. · Our weapons program doesn’t last only a couple of classes so the students can say they have learned Nunchaku, Sai and Kali sticks. · We are not a belt factory, nor do we have long contracts (we don’t promote on a time table due to the parent paying for a contract or a belt program). · I don’t have a high pressure sales pitch, in fact if I talked with you at Celebrate Roanoke that was my pitch. When I think about it, my sales pitch yesterday really centered around us being the other guys, and our program being different. So what do we do, here at Hidden Sword at the Roanoke Recreation Center? It is very simple really, we teach three different martial arts; American Karate/TKD, Kobudo, and Modern Arnis to kids through adults. Ours is a monthly on going program where the students progress from one class to the next as they move up in rank. When they are an advanced belt (purple through black rank) the student has the opportunity to cross train into Kobudo and on a case by case basis Modern Arnis. This gives the student a chance to widen their training experience and grow in the martial arts. · The American Karate/TKD program is based on the Chang Hon (Blue Cottage)Tae Kwon Do patterns. However the training drills and self defense training come from many different influences not just from Tae Kwon Do. · Unlike many schools, training with real weapons is reserved for the higher ranks and the classes are taught weekly on Saturdays. Our Kobudo training helps the student to learn focus, control and confidence as they learn katas with real training weapons and two man drills where they learn to hit something. Kobudo is an extension or a bridge art for our Tae Kwon Do program. · Our Modern Arnis classes are centered around learning the Filipino martial arts and it is taught as a stand alone complete art not just as an add on to the Tae Kwon Do program. · Training drills and techniques from Muay Thai, Arnis, Karate, Jujitsu etc. etc. are freely exchanged between the programs to help the student to develop their skills. · Kata applications (applying techniques from the kata) are taught from a self defense view point instead of a physical performance based (i.e. tournament) view point. · We train in a simple classroom environment; we don’t have dream boards, loud music to motivate students, flashing disco lights etc. etc. just plain old kicking bags and shields. Being a competition orientated school isn't bad, it’s just we aren’t one. We focus on being here for the student who wants to learn self defense, not those students who want to compete every weekend. We don’t teach mixed martial arts for the octagon or UFC type fights, but we do teach mixed martial arts (i.e. three arts which I pull drills, techniques, and skills from and that my students can cross train in). We don’t teach from the perspective that the martial art is sacred and is above the student at all cost; rather the art is secondary to the student. However we also don’t put the student’s felt needs, nor the want of money above the learning of the martial art (as in a belt mill) or above a person having to earn their rank. I don’t teach 6 year old Yellow belts arm bars and joint locks along with knife defense and call it self defense. So we are different, we are the “other guys” and you know, I’m proud of it. So if you want something different come visit us at the Roanoke Recreation Center we are the martial arts program there.